This tiny oil painting captures a moment in the blue-violet dusk. 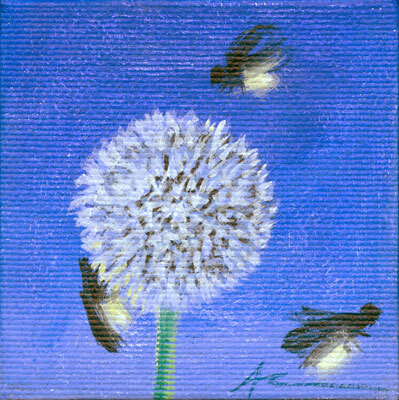 This image is the one that drove me to buy these canvases and their wee easels, the globe thistle seeming nearly white against the twilight sky, lit by the fireflies’ greenish glow. I’ve had a really hard time capturing the subtle color with my camera, which is determined to make it bluer than it really is. Hopefully whoever buys it will find the true colors a pleasant surprise! The edges of this little canvas are finished, the image wrapping around to the sides to add a little dimensions to this tiny bit of dusk. 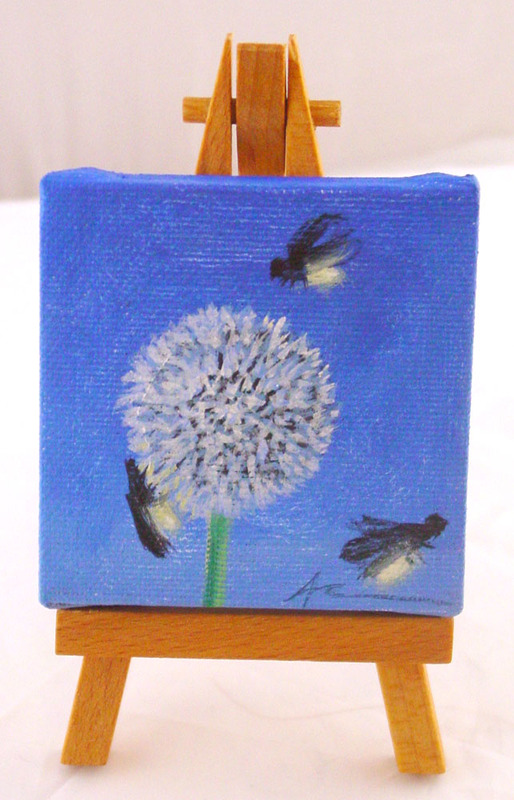 Thistle, 2.75″x2.75″, oil on canvas, 5″ tall easel, sold.